Ascent of the mountain Nemrut (2.935 m). Ascent of the mountain Süphan (4.058 m). Ascent of Ararat, (5.165 m), the highest mountain in Turkey. The ascent, graded technically as fairly easy for a 5000m high mountain, will take place, along the only permitted route including two camps. Sightseeing of the Ishak Pasha Palace, which was built high above a plateau at Dogubayazit in the 17th century. It controlled for centuries the caravan traffic of the Silk Route, which it overlooks. Sightseeing of the hot water springs of Diyadin, which are compared favourably with the springs of Pamukkale and which are a wonderful photo motive. The historic centre of Van has an eventful history and was influenced by many cultures. We will show you the most beautiful sights of Van. The hospitality of a Kurdish nomad family during a relaxing evening meal will add many unforgettable moments. After breakfast we will go directly to the citadel Van Kalesi near Lake Van. After a short bus ride along the southern coast, we will continue our trip by boat to the island of Akdamar to visit the restored Armenian church. After that you can go for a swim in the very alkaline Lake Van and picnic (packed lunch) in the evening on the island. The return journey will conclude with an overnight stay in the hotel. Dinner. Breakfest. 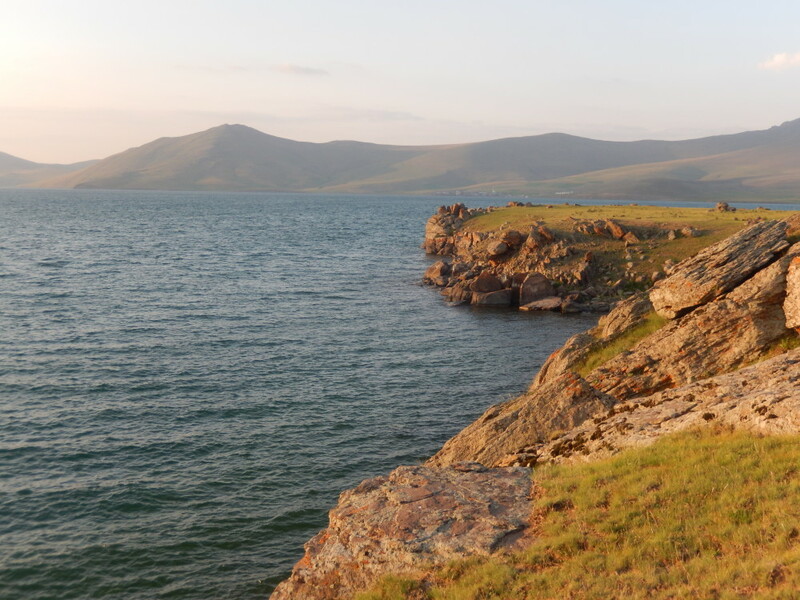 Drive along the mountainous south side of Lake Van with a stopover in Tatvan (opportunity to buy beverages and water). 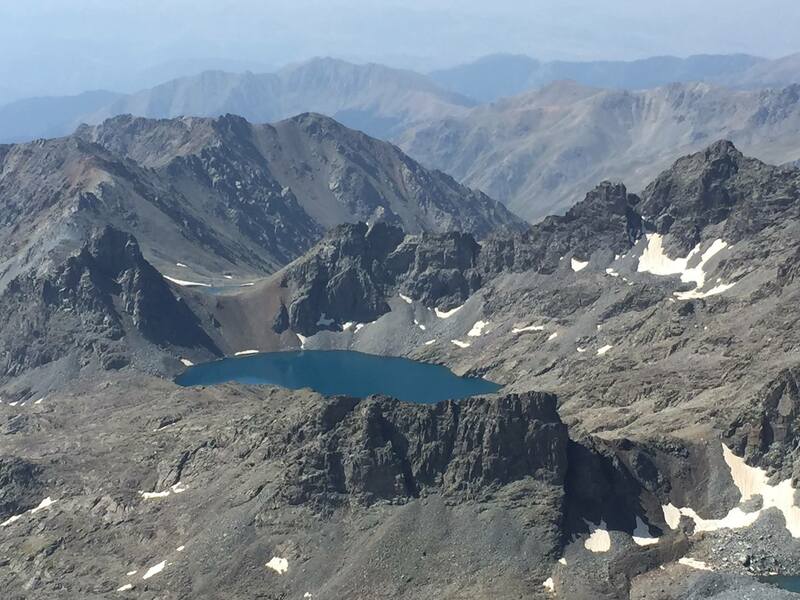 At the base of Nemrut Dagi, in the middle of a gigantic crater, we will set up our camp next to a lake filled by thermal springs (bathing possible). We will ascend to the highest peak of the crater’s edge (about 3 hours to 2.935 m). Rest, lunch on the top (packed lunch) where you will have a magnificent view of the volcanic lake. Descend to the camp at the lake. Dinner, overnight stay in tents. Breakfast. Drive out of the crater via a different route. 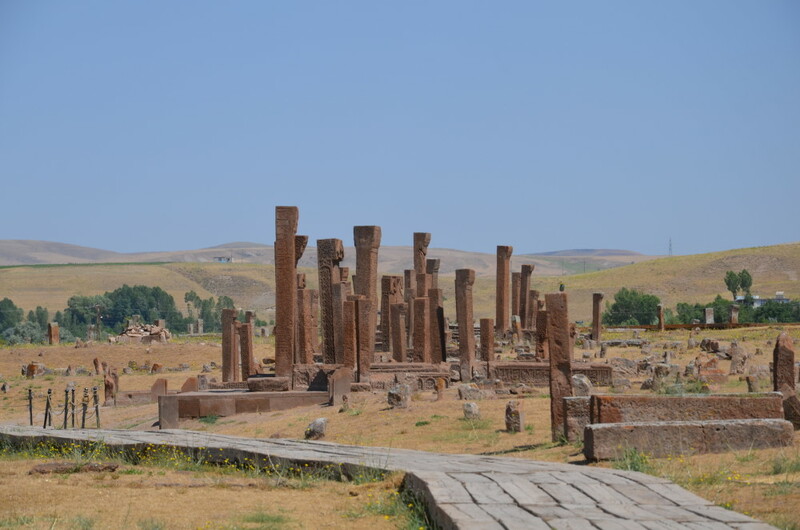 Stop in Ahlat and visit a Seljuk cemetery from the 12th century. Packed lunch. From the north-eastern side of the lake drive to Süphan up to 2. 500 m and set up camp. Possible ascent up to 3.100 m (3, 5 hours) to get used to the height. Dinner. Overnight stay in tents. Breakfast. Still in the dark (about 4 a.m.) we will start the ascent to the summit of Süphan (4.058 m), which will be reached in about 6 hours. Depending on the season there might be snow in the summit area, in the upper regions boulders and rocks. Complete descent with rest at the camp. Packed lunch. Departure from camp to Dogubayazit (1.950 m, about 3 hours) with a stop at a waterfall Muradiye . Collective dinner. Overnight stay in the hotel. Breakfast. In the morning sightseeing of the place where legend says that Noah´s Ark beached. Packed lunch. In the afternoon drive to the source of the river Euphrates with plenty of time for bathing in the hot sulphur springs. Picnic in the evening; return journey. Dinner and overnight stay in the hotel. Breakfast, packing of tents and climb to Camp 2 (4.200 m, 5 hours). Luggage will be transported by horses. Packed lunch. Dinner. It will only be a short overnight stay in tents. The tents are protected from the wind behind a wall of stones. Up to the peak 5.165 m (about 4 -5 hours). Start at 3 a.m. First you will have to climb over boulders and small rocks to the snow and ice cap in the summit area where, depending on the conditions, you may have to use crampons. If the weather is fine there will be time for an extensive rest at the summit. You´ll enjoy magnificent views to Armenia, Iran, Doğubayazit and Süphan. Packed lunch. Descent to Camp 2 and then a further descent to Base Camp 1 (descent takes 5 – 6 hours). Dinner and celebration of your successful climb to the top of the mountain Ararat. Overnight stay in tents. Breakfast. Descent rom Base Camp 1 to the starting point and return journey to Dogubayazit. Packed lunch. In the afternoon drive to one of the most beautiful palaces, the Ishak Pasha Palace, located above the city. Sightseeing tour. From a cafe you have a good view over the plateau and the surrounding mountains. Hamam. Dinner with a Kurdish family. Overnight stay in the hotel. Breakfest. Drive to Fish Lake. We will have plenty of time for relaxing and looking around. Packed lunch. Eelaxing, bathing, picnic. Dinner. Overnight stay in tents. Breakfest. Drive to the hotel in Van (about 4 hours). Packed lunch. Free time in the afternoon. At dinner with our mountain tour guide you will have the opportunity to talk about all your experiences. Overnight stay in the hotel. Breakfast, transfer to the airport in Van. Flight home. Price varies according to group size and preferences.